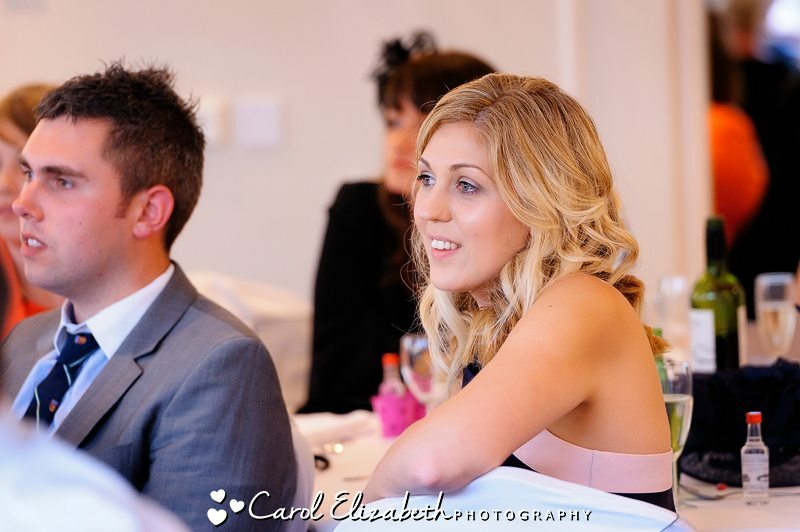 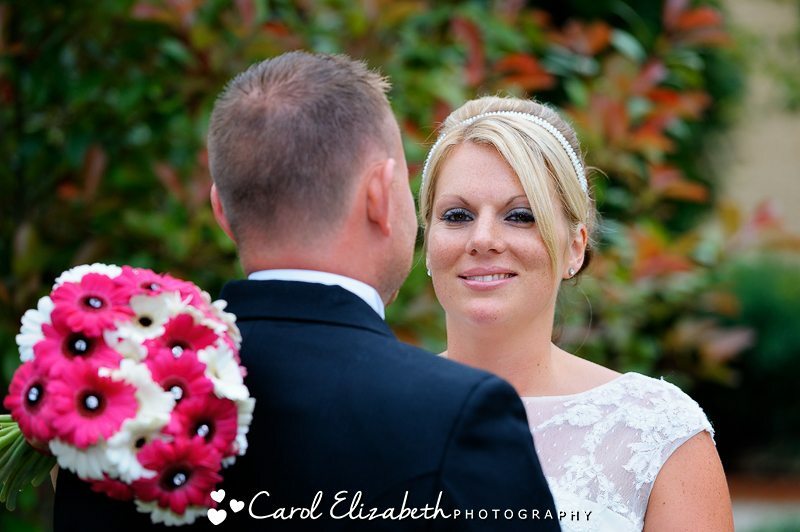 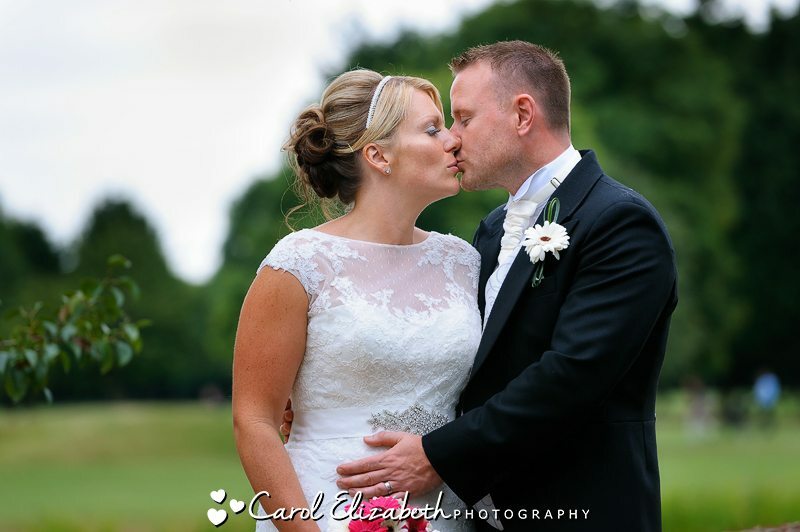 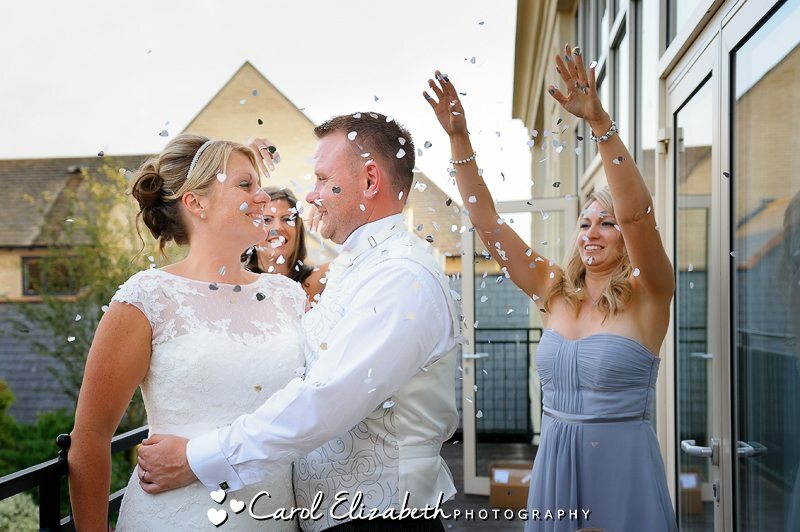 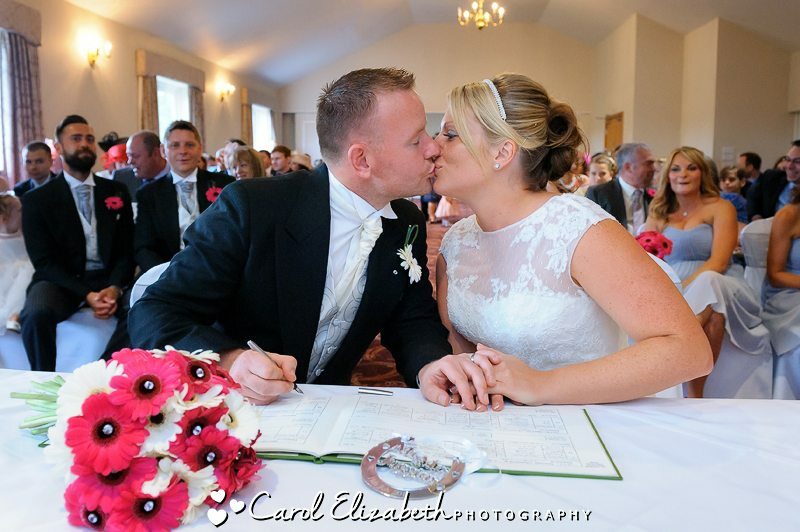 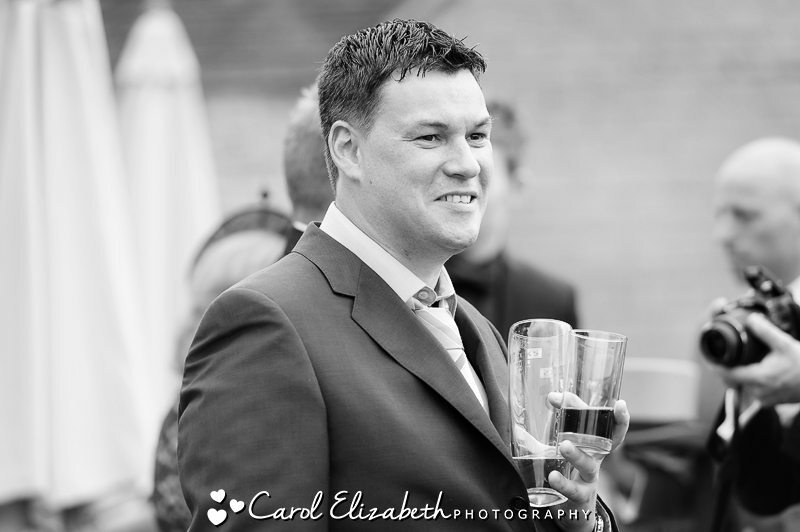 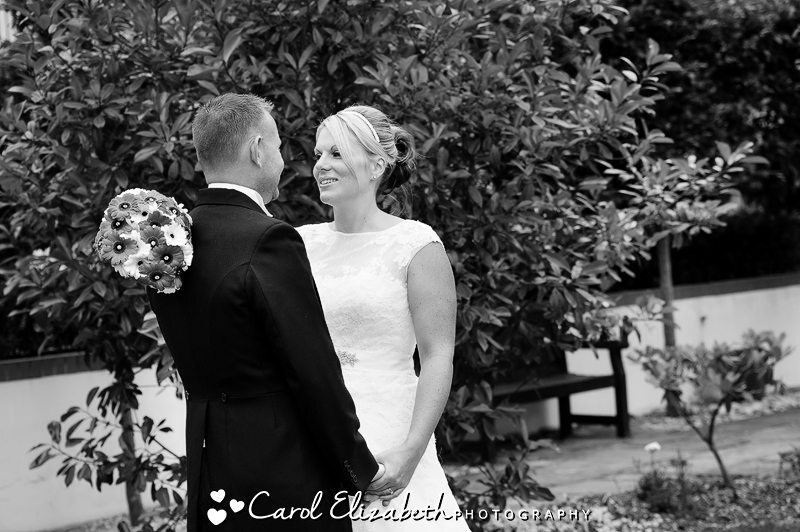 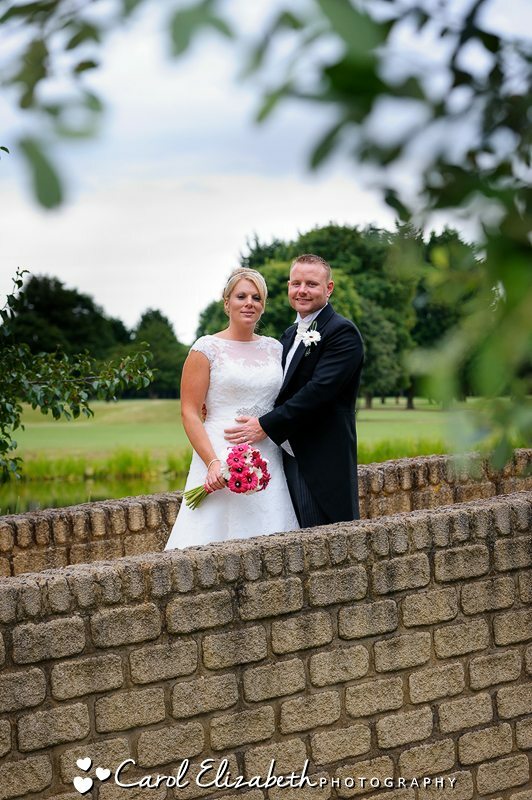 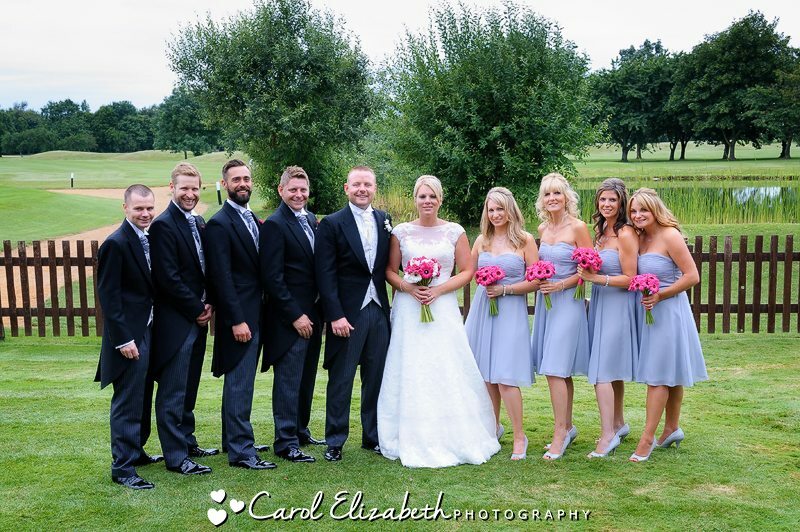 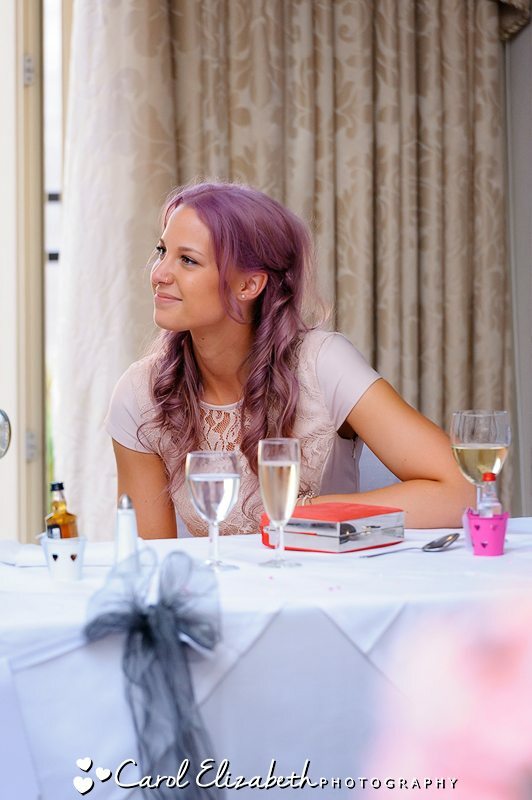 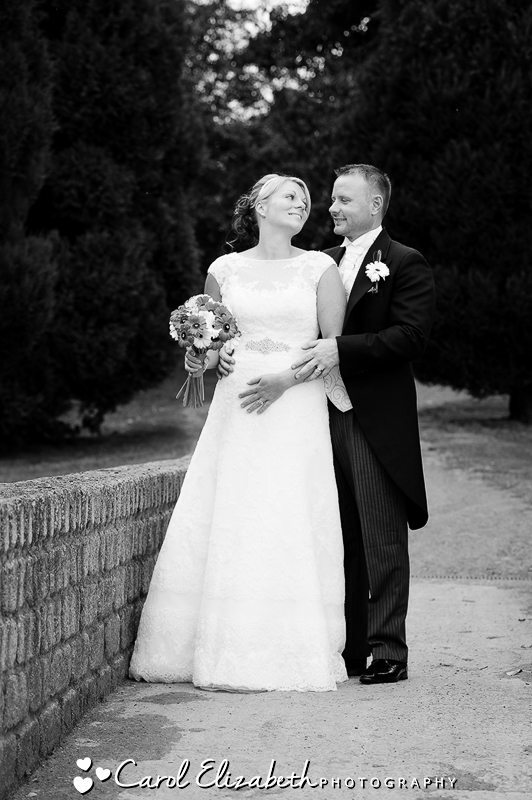 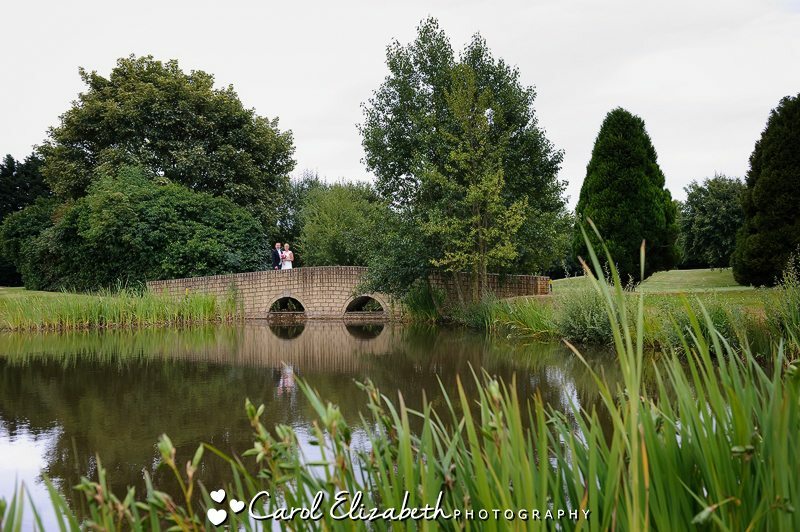 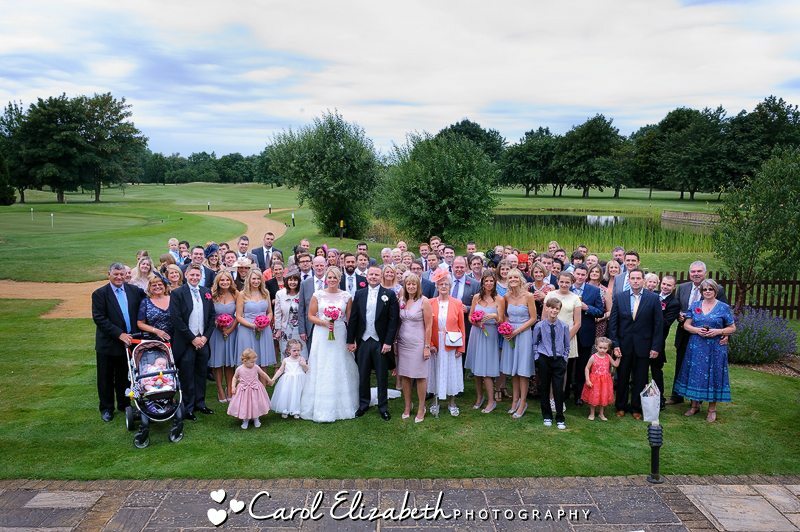 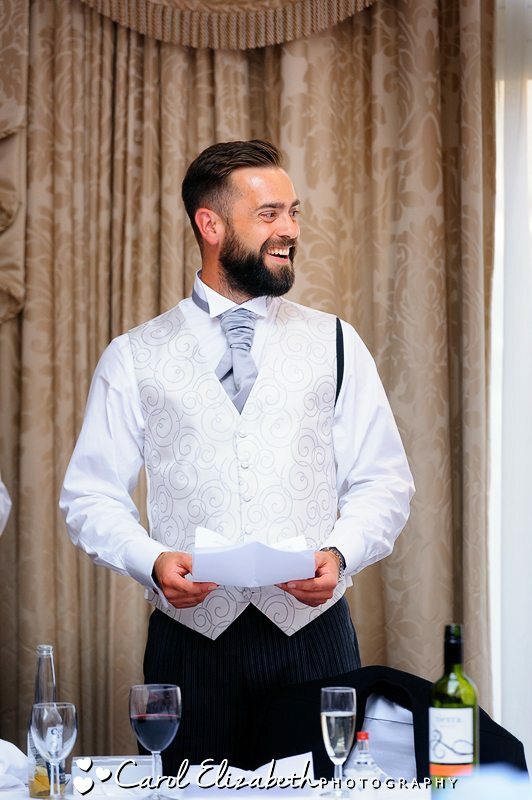 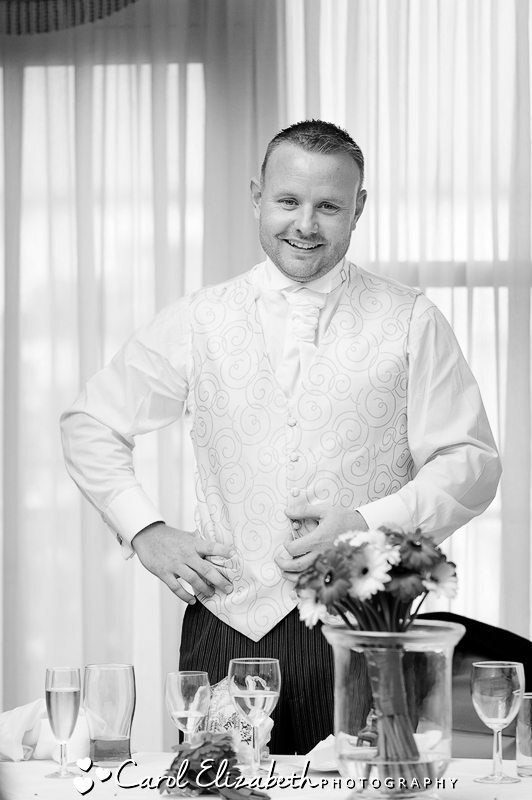 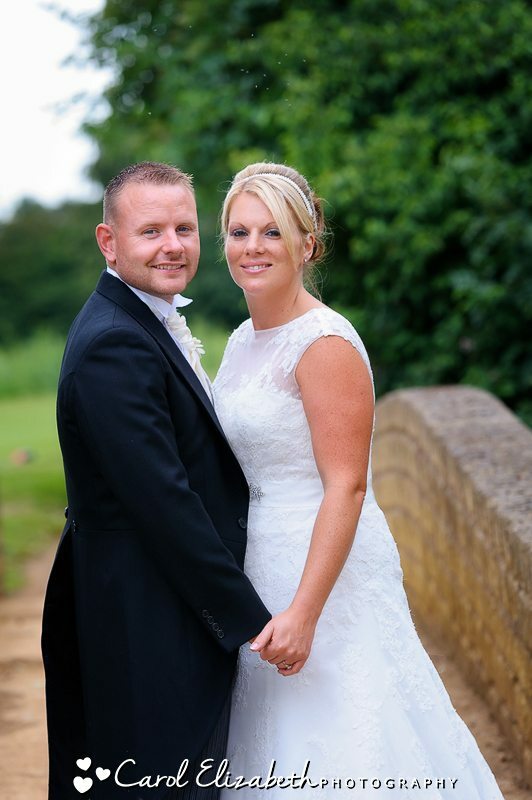 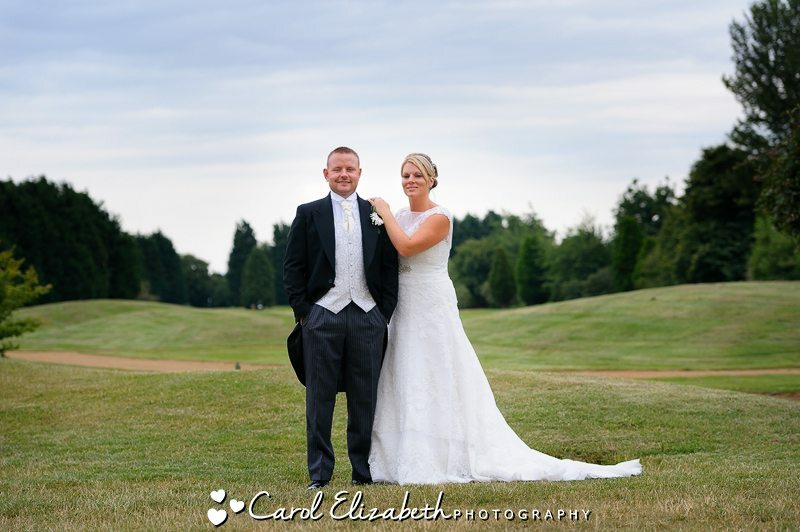 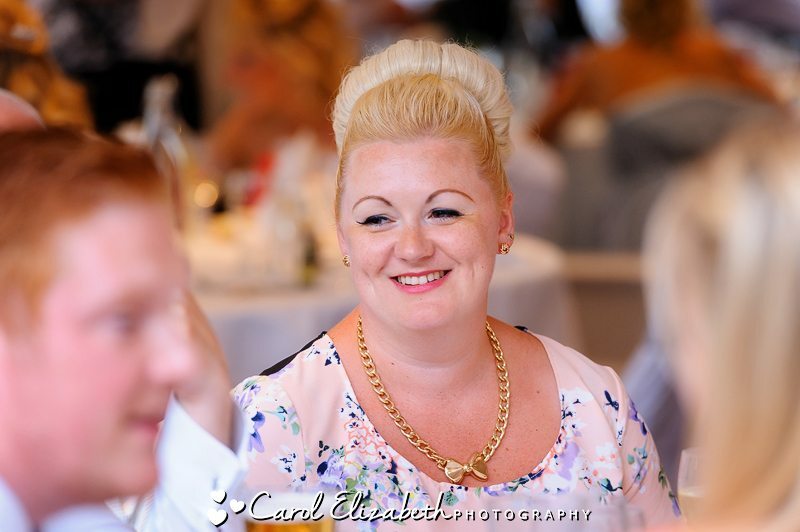 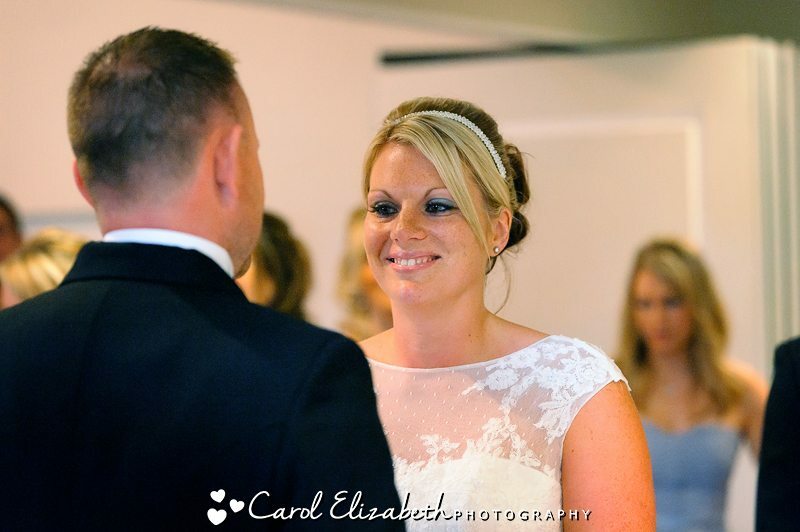 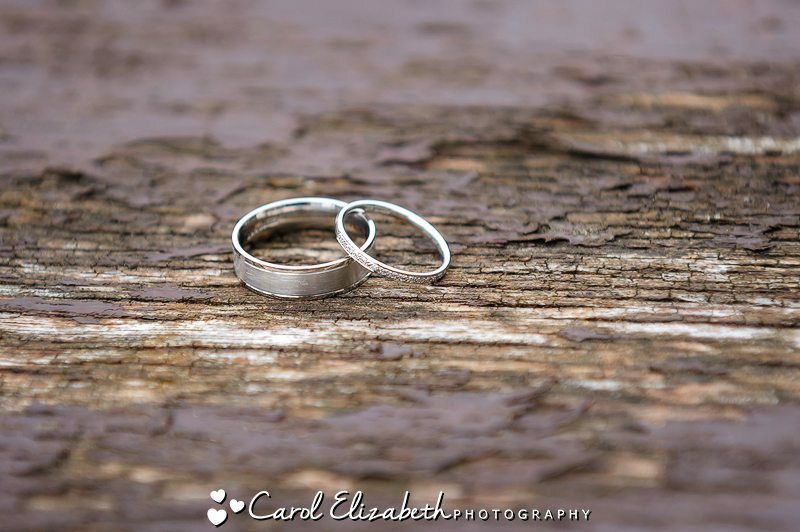 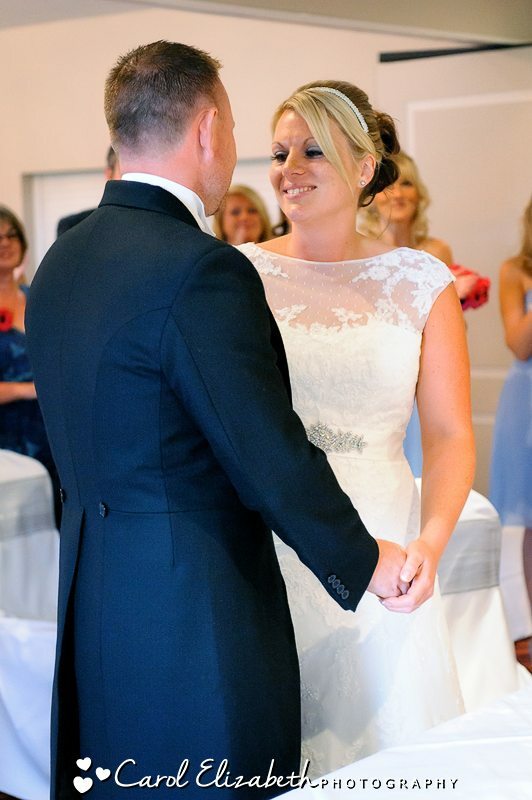 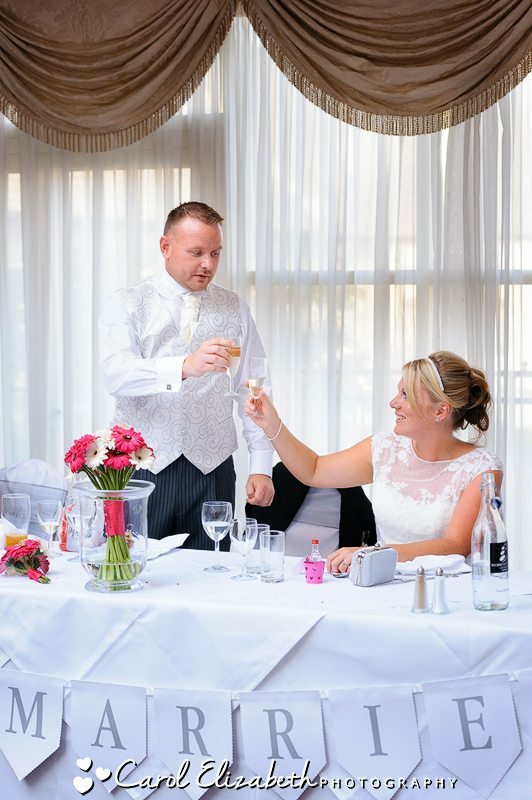 Laura and Paul had their wedding at Bicester Golf and Country Club, which is a really great venue with plenty of open space for wedding photography and friendly and professional staff. 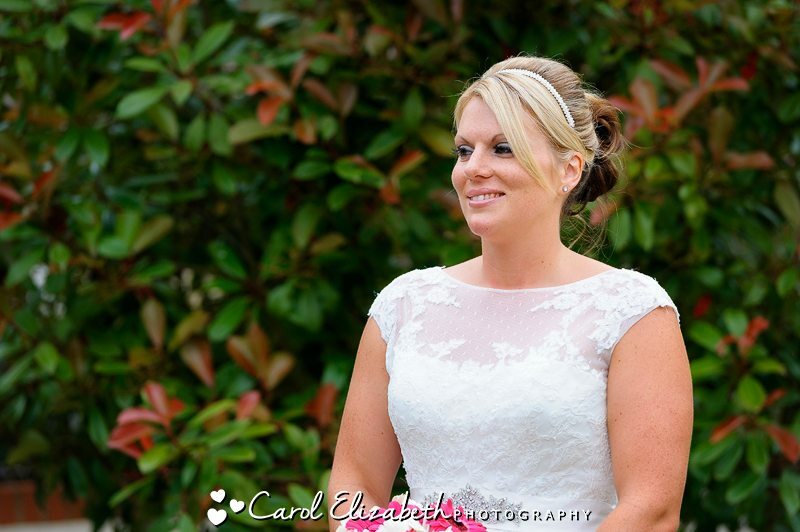 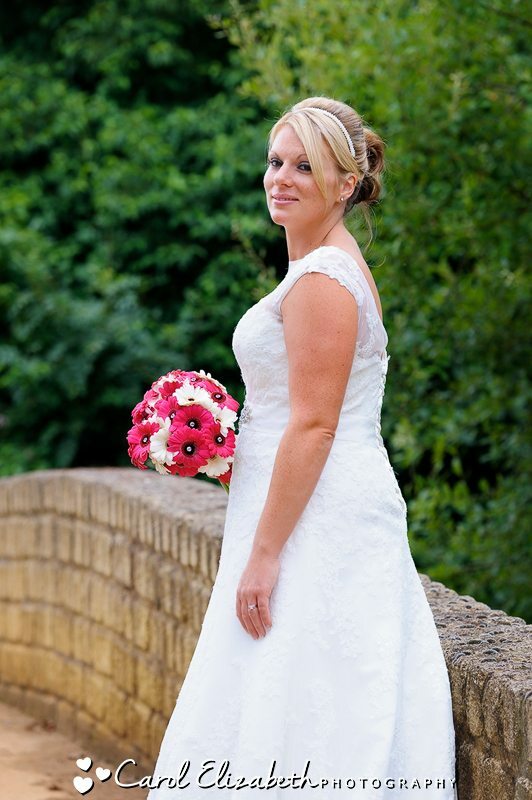 Gemma helped me on the day to ensure we had plenty of lovely images. 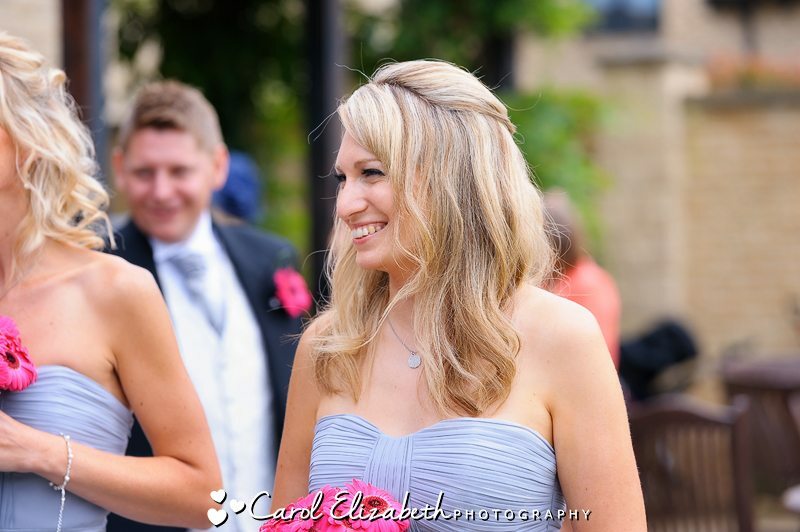 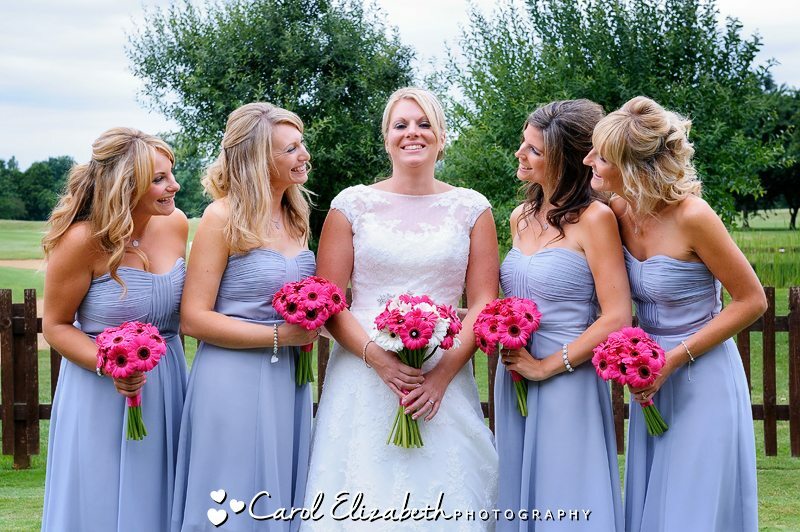 I started the day with Laura getting ready with her bridesmaids – everyone was really excited, it was such a fun atmosphere! 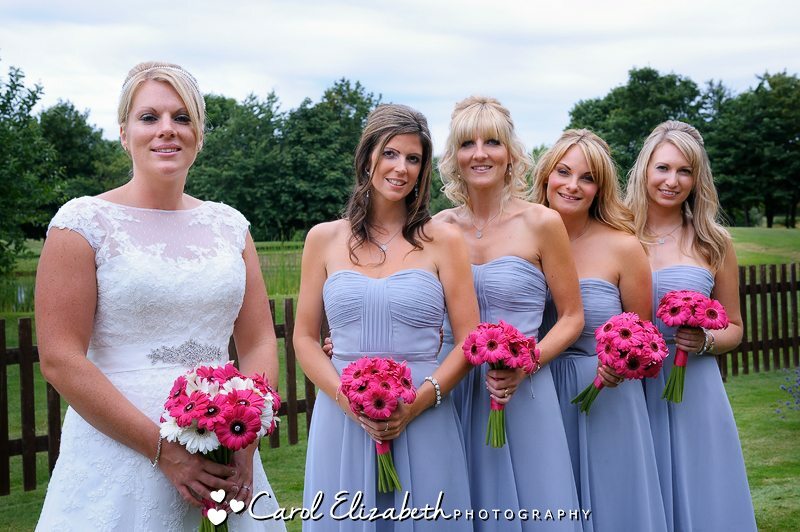 Laura and the bridesmaids all looked gorgeous as they headed down to the ceremony. 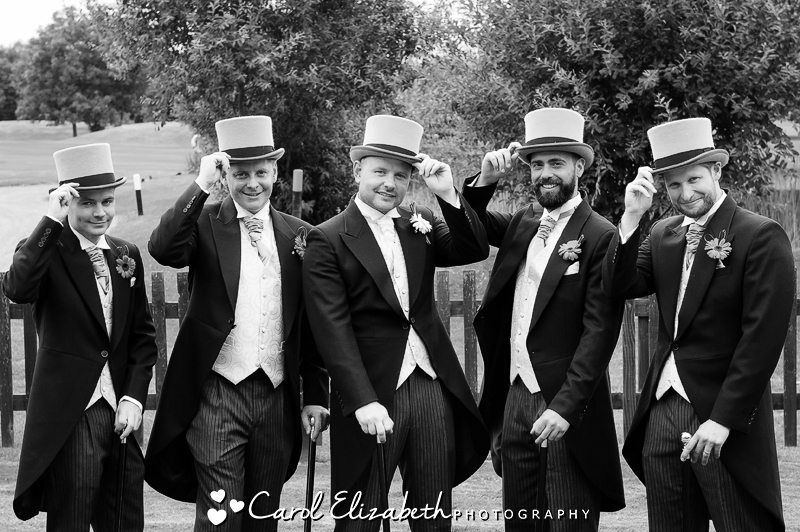 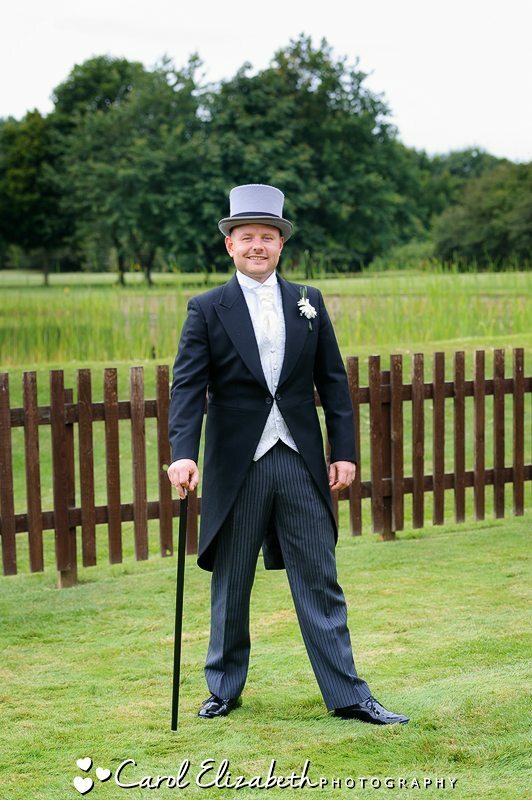 I managed a few quick shots of Paul and the groomsmen looking particularly smart with their tophats. 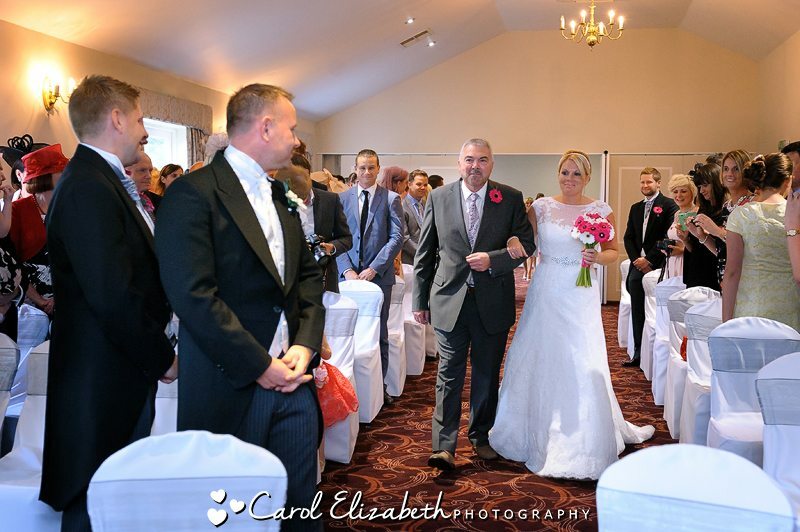 As expected the ceremony was very romantic and it was clear to everyone how in love Laura and Paul are. 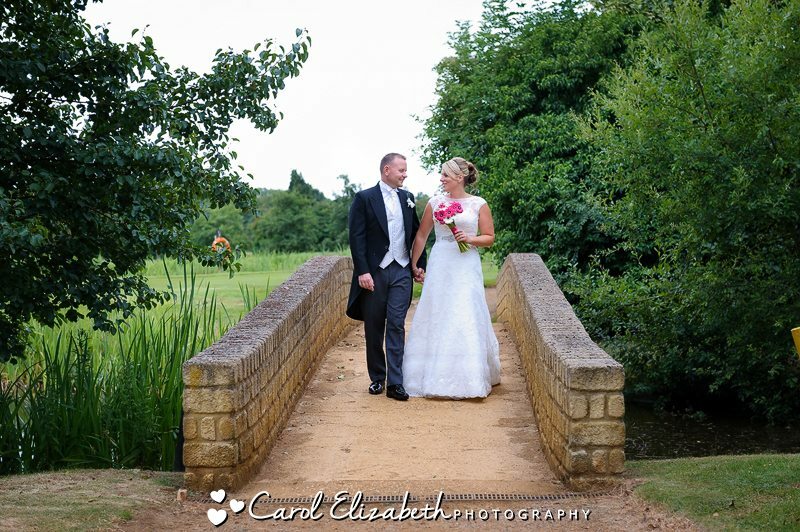 Weddings at Bicester Golf Club allow for some lovely photography out on the golf course, and we headed over in the golf buggy for some portraits on the bridge before heading back to the group. 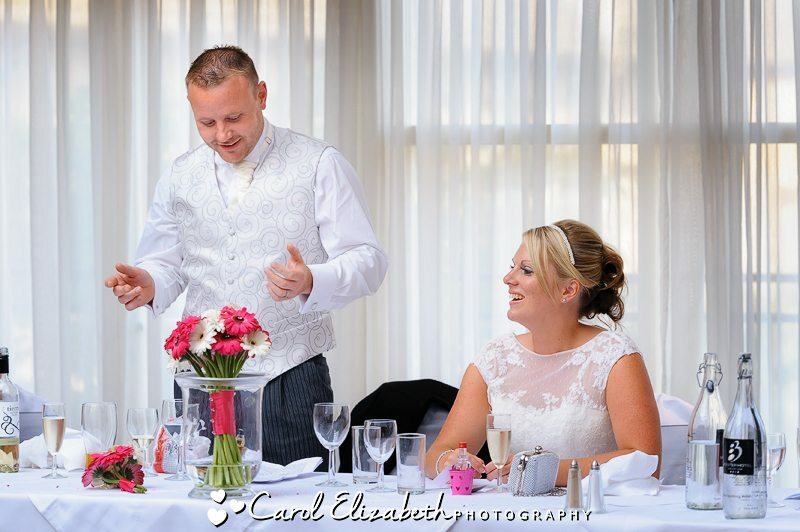 The wedding reception was soon in full swing with the speeches starting. 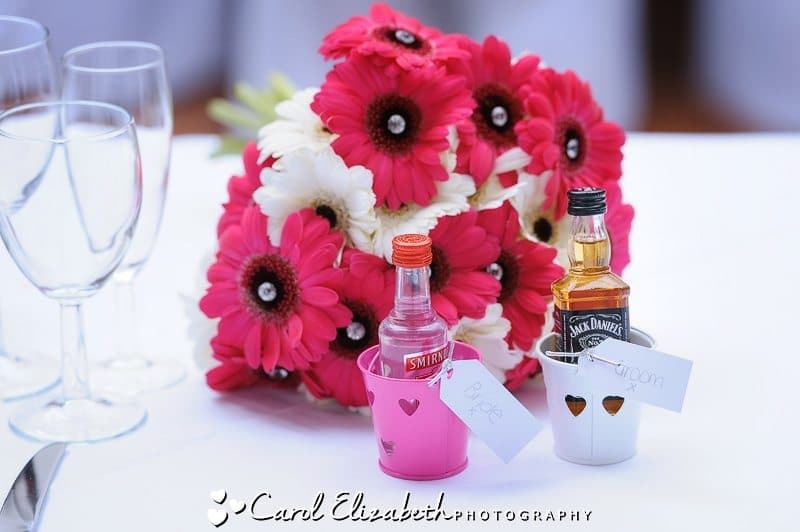 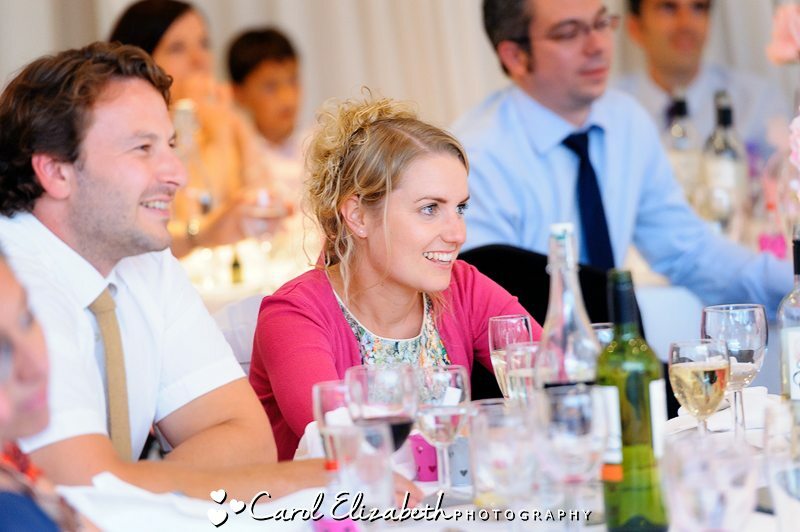 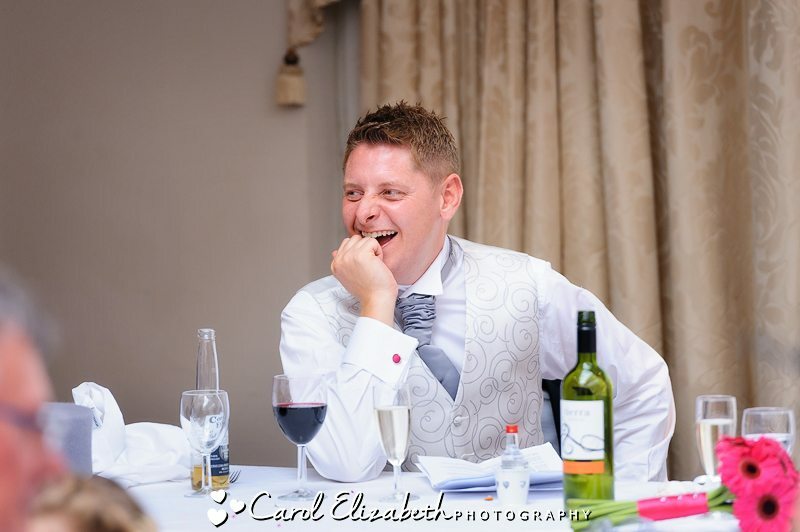 They were very fun and light-hearted, and all the guests were entertained and at times laughing heartily! 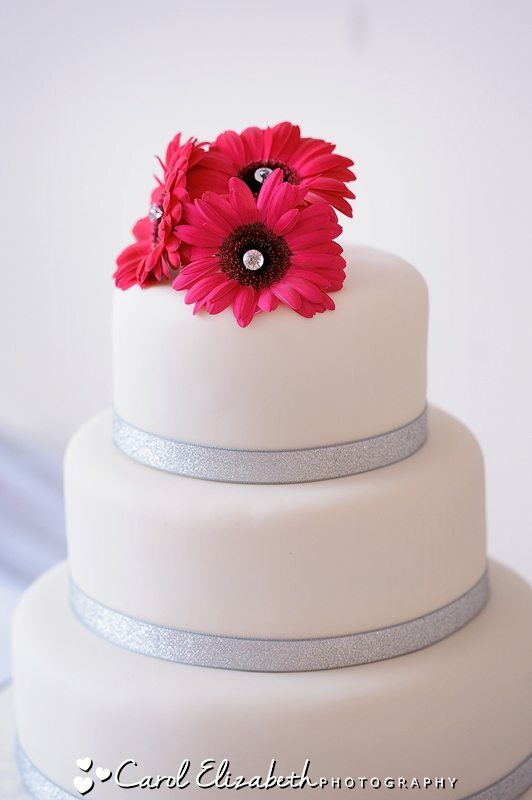 Time for cake cutting and confetti ahead of the evening celebrations. 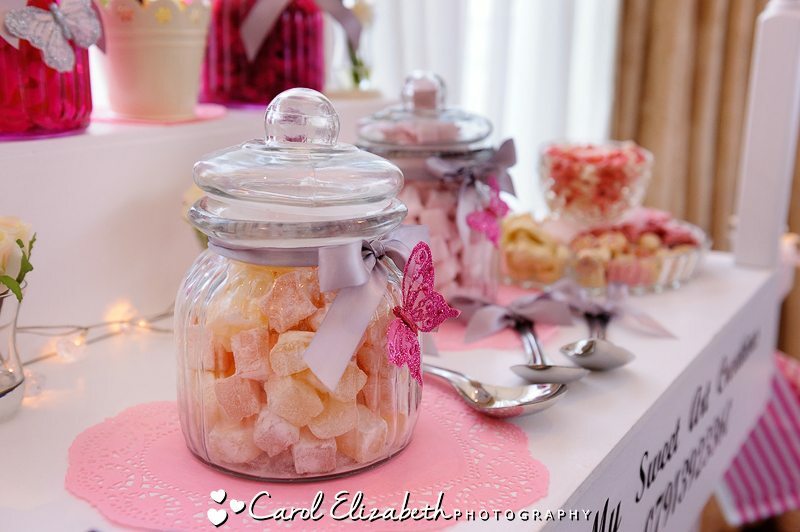 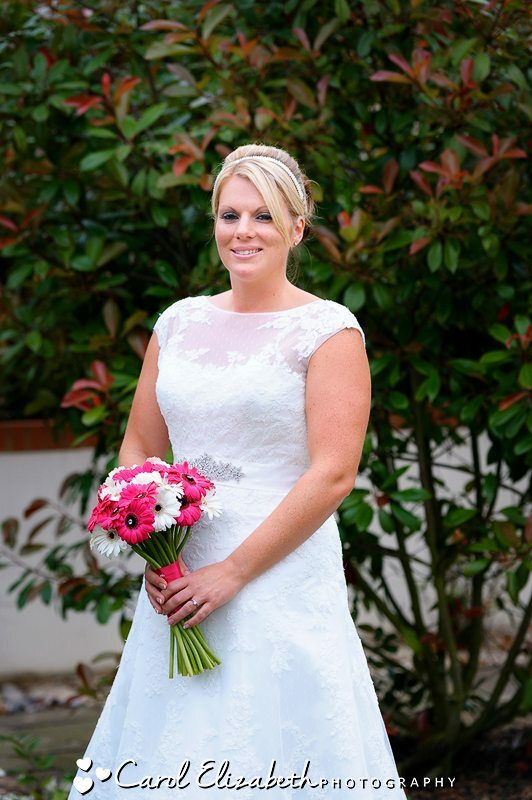 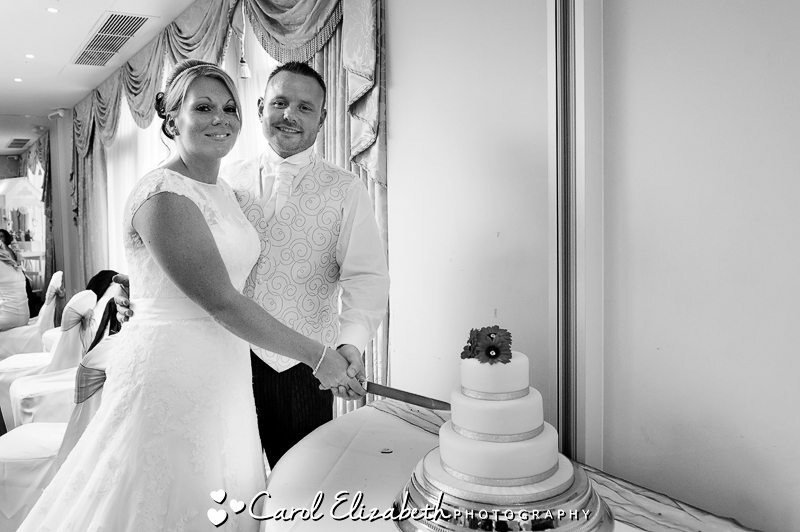 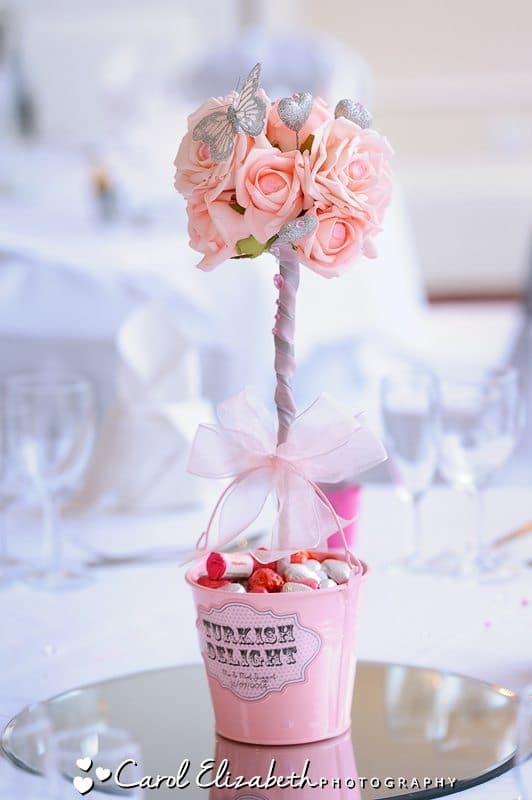 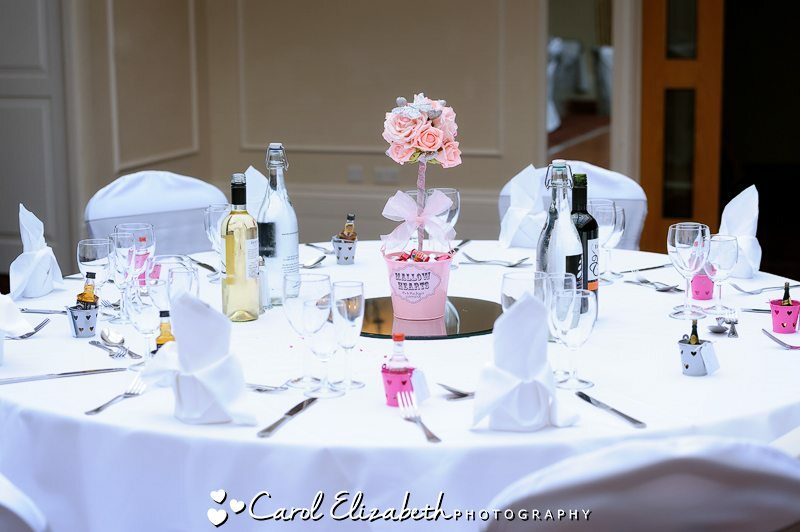 The cake was beautiful – very elegant to match the style of Laura and Paul’s wedding.